Harold Cook asks a darned good question. As SCOTUS hears arguments on marriage equality this week, it reminds me of when the Texas Legislature voted for the state constitutional amendment prohibiting gay marriage in Texas eight years ago. Texas voters subsequently approved the measure that November by a 3-to-1 margin. I wonder if any of the legislators voting on that piece of crap would vote differently today? I am particularly reminded of the Democrats who voted yes (or Present, Not Voting). Some of the statements of vote (scroll to the bottom) are surprising and disappointing, including those made by various House Democrats, two of whom are now in the US Congress and several of whom remain in the legislature or otherwise in the public eye. (and one of whom was, ironically, drummed out of office in part for gay baiting). HJR 6 was adopted by the following vote: Yeas 21, Nays 9. Yeas: Armbrister, Averitt, Brimer, Deuell, Duncan, Eltife, Estes, Fraser, Harris, Jackson, Janek, Lindsay, Lucio, Madla, Nelson, Ogden, Seliger, Shapiro, Staples, Wentworth, Williams. Nays: Barrientos, Ellis, Gallegos, Hinojosa, Shapleigh, VanideiPutte, West, Whitmire, Zaffirini. The roll of those voting yea was again called and the verified vote resulted, as follows (Record 396): 101 Yeas, 29 Nays, 8 Present, not voting. Yeas — Mr. Speaker(C); Allen, R.; Anderson; Baxter; Berman; Blake; Bohac; Bonnen; Branch; Brown, B.; Brown, F.; Callegari; Campbell; Casteel; Chisum; Cook, B.; Cook, R.; Corte; Crabb; Crownover; Davis, J.; Dawson; Delisi; Denny; Driver; Edwards; Eissler; Elkins; Escobar; Farabee; Flynn; Frost; Gattis; Geren; Gonzalez Toureilles; Goodman; Goolsby; Griggs; Grusendorf; Guillen; Haggerty; Hamilton; Hamric; Hardcastle; Harper-Brown; Hartnett; Hegar; Hilderbran; Hill; Homer; Hope; Hopson; Howard; Hughes; Hunter; Hupp; Isett; Jackson; Jones, D.; Keel; Keffer, B.; Keffer, J.; King, P.; King, T.; Kolkhorst; Krusee; Kuempel; Laney; Laubenberg; Madden; McCall; McReynolds; Merritt; Miller; Morrison; Mowery; Olivo; Orr; Otto; Paxton; Phillips; Pickett; Quintanilla; Raymond; Reyna; Riddle; Ritter; Rose; Seaman; Smith, T.; Smith, W.; Solomons; Straus; Swinford; Talton; Taylor; Truitt; Van Arsdale; West; Woolley; Zedler. Nays — Allen, A.; Alonzo; Anchia; Bailey; Burnam; Coleman; Davis, Y.; Deshotel; Dukes; Dunnam; Dutton; Farrar; Gallego; Herrero; Hochberg; Hodge; Martinez Fischer; McClendon; Moreno, J.; Moreno, P.; Naishtat; Noriega, M.; Puente; Rodriguez; Strama; Thompson; Veasey; Villarreal; Vo. Present, not voting — Castro; Chavez; Giddings; Gonzales; Jones, J.; Leibowitz; Turner; Wong. Absent, Excused — Eiland; Luna; Menendez; Nixon; Oliveira; Pitts; Smithee. Absent — Flores; Martinez; Pena; Solis; Uresti. I’ve helpfully highlighted all of the yea-voting Democrats in bold. All of the non-voters were Democrats except for Martha Wong, Joe Nixon, Jim Pitts, and John Smithee. You should click over to read some of the statements made by the non-voters, several of whom would have voted Yes and several of whom had less-than-stellar reasons for voting No. The good news is that there’s only a handful of yea-voting Dems left in the Lege – Eddie Lucio in the Senate; Ryan Guillen, Tracy King, Joe Pickett, and Richard Raymond in the House. Allan Ritter is still in the House but switched to the GOP in 2011. As you know, the Supreme Court is hearing two cases this week that have to do with marriage equality. Eight years ago, the Texas Legislature approved HJR6, which was “a constitutional amendment providing that marriage in this state consists only of the union of one man and one woman”, which was subsequently ratified by the voters. Recent polling makes it clear that as with the rest of the country, Texans’ attitudes towards marriage equality are evolving, and Texans today are more favorably inclined to the idea than ever before. Democrats in particular are quite favorable to marriage equality, but that wasn’t always the case. In 2005, [your boss] was one of only three Democrats to vote Yes on HJR6 in the Senate/fifteen Democrats to vote Yes on HJR6 in the House. I would like to know, if he had to do it again today, would he still vote for HJR6? This session, there are several joint amendments that would repeal this amendment – HJRs 77 and 78, and SJR 29. While I recognize that it is highly unlikely any of these resolutions will come to a vote, I would like to know if one of them did come up for a vote, would [your boss] vote for it? I am sending this question to all five Democratic members of the Legislature who voted for HJR6 in 2005 and who are still serving as Democrats in the Legislature today. I intend to print the responses on my blog when I receive them. I look forward to receiving [your boss’] answer. Please let me know if you have any questions. Thanks very much. 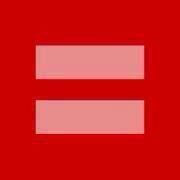 In 2010 I decided that the only position I would take on the issue of marriage would be that I am pro marriage. Period. Whether a person is gay or straight should be irrelevant. What matters is that two people who love each other and want to get married should be able to do so. Obviously, I’m glad to hear that. I wish I could say I got the same kind of answer from everyone I asked, but I can’t. Rep. Ryan Guillen responded that he had not read the legislation to repeal HJR6 – “I typically read bills as they come up for consideration and make my decision at that time”, he said. I followed up to inquire about whether he had changed his mind about his vote on HJR6, but did not get a response. Sen. Lucio declined to comment. I got no response from Reps. Tracy King or Joe Pickett despite two and three emails sent to them, respectively. So there’s still work to be done here. But we have come a long way. As Texas on the Potomac noted, not a single Texas Democrat voted against DOMA in 1996 – Sheila Jackson Lee, who voted “present”, was the only one not to vote in favor of it – but now many of them are full-throated in support of marriage equality. We will get to where we need to be, with marriage equality. I don’t know how long it will take, and I don’t know who will refuse to come along, but ultimately we will get there. It’s just a matter of time. I still think if Martha Wong had represented her district, she could have prevented this whole travesty. David Farabee was also a Democratic St. Rep., his name should be in bold above. Stina – Actually, Wong’s no-show did not hinder the effort to beat this. One hundred Yes votes were needed to put it on the ballot, so in that sense a “Present, not voting” was as good as a No. Of course, she could have showed some leadership by working to convince her colleagues what a bad, misguided effort this was, but perhaps that was too much to ask given the GOP’s obsession with anti-gay marriage amendments at that time. Far be it for me to defend Martha Wong, but she was not the problem here.